Is there anything sweeter than a sleeping baby? 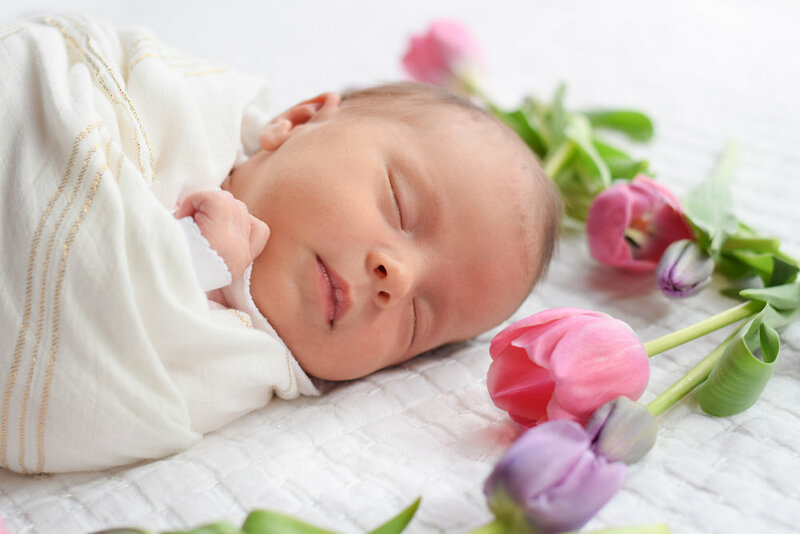 I remember the sleepless nights of having an infant. You know those nights that you are up for the third time to feed your baby, they fall right back to sleep and you sit holding them just to watch them sleep? Since I no longer have a newborn I can look back on those days with rose colored glasses. 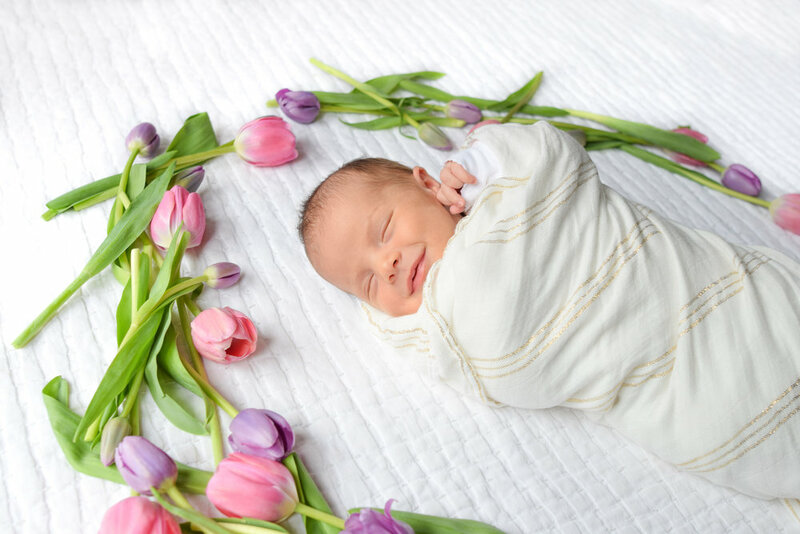 Those early days with your baby are so glorious and capturing newborns in their sleepy peaceful grace makes my heart sing. And to my husbands appreciation this is the only newborn fix I need. 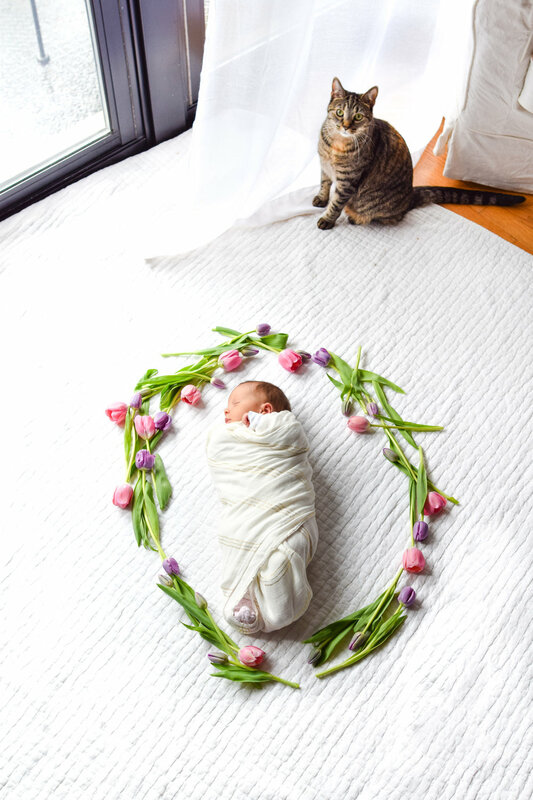 For this shoot we decided to upgrade a traditional newborn session to a stylized session. 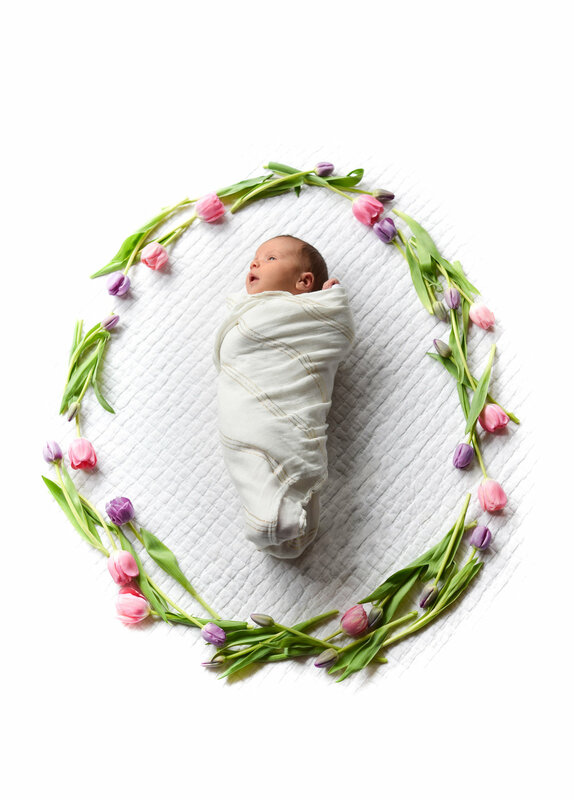 To style Ana Jane we swaddled her in a neutral wrap and laid beautiful spring tulips all around her in a gorgeous floral wreath. Ana has two cat siblings who were still deciding what they thought of the creature that had invaded their home. We made sure to capture some shots of them as well. Heaven forbid the cats loose any of their limited self esteem. Ana ended the session with the sweetest little smile. I'm going to tell myself it was because she loved modeling for me not that she had gas.